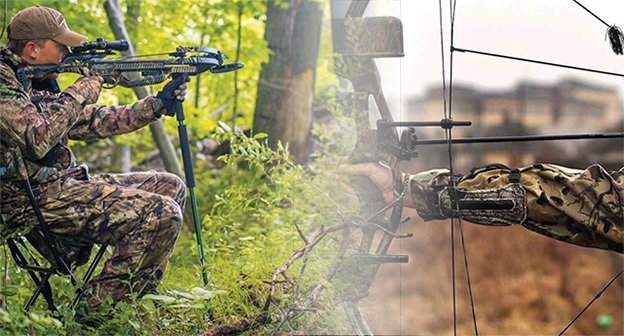 Crossbows have been seeing something of a surge in popularity lately as a weapon of choice amongst hunters and recreational shooters alike. Many people are attracted to them because of the way they look as much as how they function, but the fact of the matter is, that a crossbow can be an incredibly powerful and accurate weapon. With the growing popularity of the crossbow, there has also been an increase in the number of people showing an interest in DIY crossbows, which is why we have put together this basic guide on how to build a crossbow. Can Anyone Build a Crossbow? 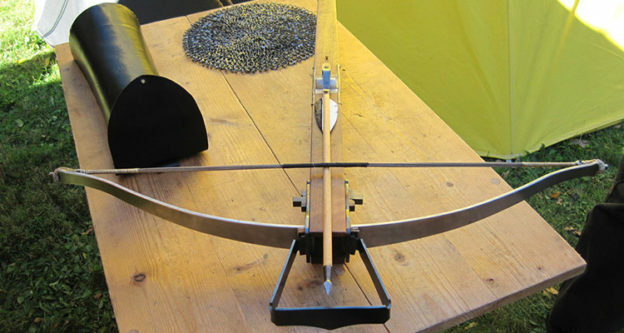 A crossbow seems like a fairly complex undertaking, but the truth is that almost anybody can learn how to build a crossbow. There are various different tutorials and step by step guides available online ranging in skill level. However, what you do need to take into consideration is that the simpler the design is, the less powerful and perhaps less stable your crossbow will actually be. For example, there are basic tutorials around that most people can build even without much woodworking experience. However, the danger with these types of tutorials is that the resulting crossbow is not necessarily going to be particularly sturdy or reliable which means that it may not be safe to shoot. You will likely get away with shooting some targets if you are careful, but it is certainly not for hunting with. It is far better to opt for one of the more advanced tutorials out there as these will offer a much more stable and good quality crossbow. However, you will need some woodworking skill and access to a small woodshop in order to produce these more complex design. This is not one for beginners, but can be a nice project for keen craftsmen. If you are going to try to learn how to make a crossbow, then you are going to need a good selection of hand tools including chisels, a coping saw and a mallet as well as some power tools including a table saw, dremel, drill and an orbital sander. The materials that you will need will depend on the design that you are following, but most tutorials that we have seen use hardwood boards, paracord and springs. If you do not feel like you are quite up to the challenge of building your own crossbow from scratch, then you will be glad to know that it is also possible to purchase pre-made crossbow components and then assemble the crossbow yourself. This gives you the satisfaction of building your own functional weapon while also offering you the peace of mind that the finished crossbow will be safe and reliable! One thing that you do need to keep in mind is that the how to make a hunting crossbow tutorials that you will find online showing you how to build your own DIY crossbow are not going to be suitable for hunting. The vast majority of DIY crossbow tutorials are just for fun. If you are intent on learning how to build a hunting crossbow then it is probably best that you purchase manufactured parts to assemble since most DIY wood and PVC designs are not going to be appropriate for anything more than some casual target practice. Is Building your Own Crossbow Legal? The only question that really remains is whether or not building your own crossbow is legal. Now, we are not legally qualified to give you legal advice, so it is always best to look into state regulations for your area just to be safe. In most cases, the act of building your crossbow is not regulated. However, you may run into issues when it comes to ownership of the finished weapon, depending on where you live. Always make sure you check the regulations out for yourself in order to avoid getting yourself into hot water regarding your crossbow. In conclusion, learning how to construct a crossbow is probably not as complicated as you might first think. Crossbows have been around for thousands of years now, so it is certainly not difficult to find detailed information on how to put the mechanical aspects of one together at home. With a little time, patience and ingenuity you too could be building your very own, fully functional crossbow although it may not be suitable for game hunting.